Corte's reputation for belligerent independence began in the 9th century when inhabitants of the strategic post allegedly fought off Saracen raiders. Later, the Genoese rulers were constantly hassled by the local nobles culminating in 1419 with a takeover by Vincentello d'Istria, the king of Aragon's viceroy. Once he was executed in 1419, Genoa ruled undisturbed until the French arrived in 1553 when Corte happily succumbed to Sampiero Corsi. Within six years the Genoese were back however and stayed in control for many years. Due to its isolation from the occupied coastal towns, by the early 18th century Corsican nationalism was on the rise in Corte and in 1731 the First National Assembly drew up the national constitution. 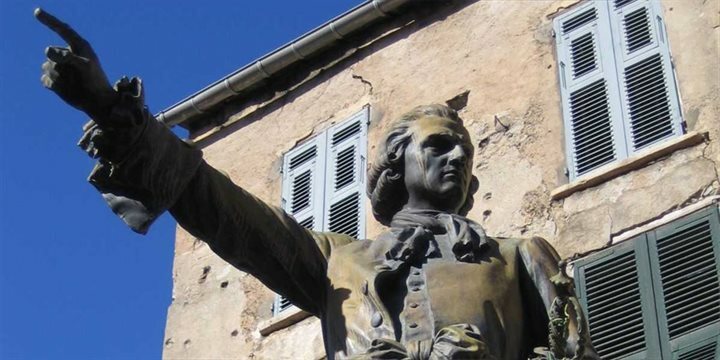 In 1752 Gaffori was elected head of state and after his assassination Pascal Paoli, the famous Corsican freedom fighter, returned from exile and between 1755 and 1769 made Corte the seat of his revolution. He founded the first independent Corsican government and established one of the first democratic constitutions in the world. In 1765, he established the first university on the island and during this time he also set up the first printing press. In 1768, under the Treaty of Versailles, France bought Corsica from the Genoese and after the battle of Ponte Nuovo the following year, the period of Corsican Independence came to an end. Under the French, Corte became insignificant and it is fairly recent that Corte has acquired a slightly better status as sous-préfecture of Haute-Corse as the seat of the revived university, whose aims are to re-establish the value of Corsican culture.